This gorgeous little bird bath from Ruddick Garden Gifts can also be used as a bird feeder if preferred. 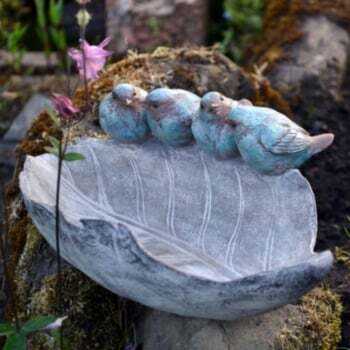 Made from poly resin making it suitable for outdoors this bird bath is decorated with four birds sitting on a leaf. This would make a lovely gift for anyone who loves looking after their garden birds.